PLEASE NOTE: Postage upgrades at checkout are unavailable as stock is not held at our distribution warehouse. Please allow upto 5 working days for your items to be dispatched. All goods will be shipped on a standard delivery service. 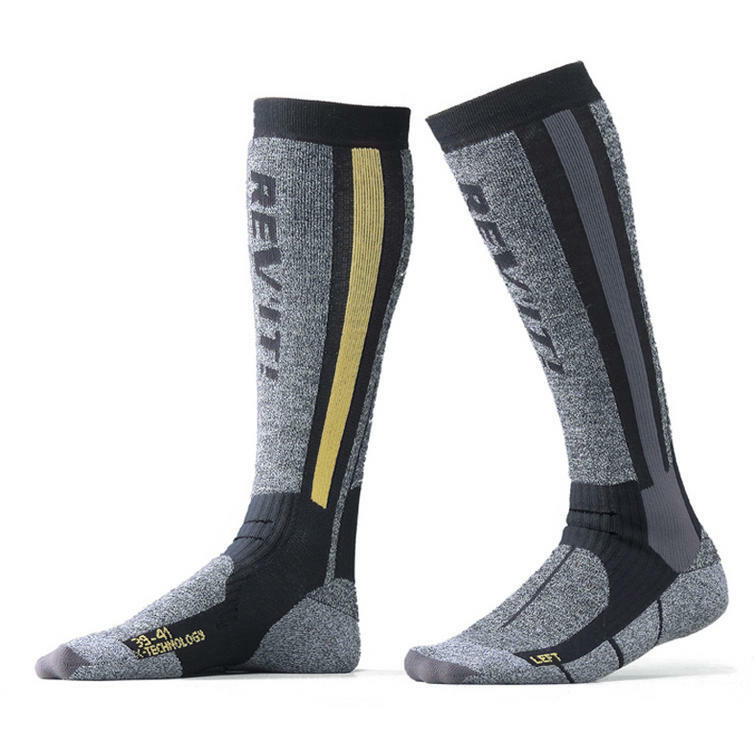 The fabrics used in the Rev'It Tour Winter Thermal Motorcycle Socks quickly wick moisture away from the skin, while ventilation channels keep the feet cool, dry, and comfortable. Pure Marino wool is added for extra insulation, to keep your feet warm, even on the longest winter touring ride. The anatomically shaped foot-bed supports and cushions your feet, providing support where they need it the most. Do not miss out, get yours from Ghostbikes.com now! 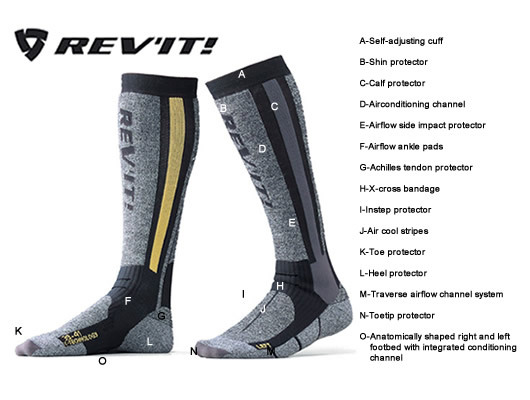 The Rev-It Winter Thermal Socks are currently available in the colours shown in the images above.